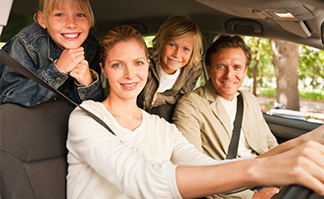 Auto insurance is one of those “must have” items within the state of Idaho. If you are going to be behind the wheel of a car, truck, or SUV, then you need to have a policy. There is a certain level of liability insurance that must be maintained and at Insurance Designers, we can help you determine what other types of coverage you need. You want to make sure you have plenty of coverage when you’re driving down the road. Even if you’re a safe driver, you cannot account for everyone else, and no one can account for the weather. This is why there is auto insurance. There are many options to consider when buying insurance. You will need to maintain at least the minimum of liability insurance. You can then choose to add more of this liability coverage as well as other forms of coverage including collision, comprehensive, uninsured motorist, and much more. Our goal is to help you find an affordable policy. We will work with the top insurance companies to show you what they offer, what the rates are, and help you build a policy that makes sense for your needs. Finding insurance can be overwhelming and many companies try to sell you the least expensive policy that lacks the coverages you really need. Let one of our auto insurance agents work with you to find a policy that provides the right amount of coverage with the right price. We will do a significant amount of the work for you so there is no need to do it alone. This can save you time and give you confidence that you have a good policy. You can then drive down the road and know that if there is an accident, you can file a claim with the insurance company. Call and talk to one of our independent agents today. We can work with you to find a policy that makes sense for you, get quotes to help you compare, and work within your budget.